Oh … I applied yesterday … for 3 cards for family members … referrals from my card! Had to though – deadline was tomorrow to get the Avios. Oh well, never mind! I was on the verge of recommending the OH, so I thank you for the heads up. I like these type of posts, good to be kept in the loop. Very nice. Travelling with your German relatives? 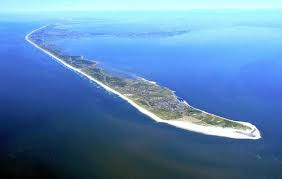 Do any non-Germans go to Sylt? Don’t think so! Which is a shame. However, I have never actually been before. We usually go to Travemuende but my (German) wife wants a change. She hasn’t been to Sylt either as it happens. What do you mean ‘No particular reason’. There must be a particular reason … the plot thickens. Any news on the Starwood Amex? Any news on reapplying for this card? 6 month min break, or 12 months? No. In 2011 and 2012 the bonus only went up in November. In 2013 they did an additional May/June run as well, plus November. Thanks, will do my best. Got a week to get around the place! Yes….I had a problem trying to book FUK-HKG-LHR on ba.com flying with CX using my avios. CR swore blind that there was no availabiltiy. In the end I splti iti into tw osegments and booekd it online with no problem except the dimwit checkin assistant at FUK who couldn’t check my bags through to LHR on two separate PNRs and had to call hsi supervisor over! Does the rule about not owning a card for the previous 6 or 12 months mean you can’t already own an AMEX card (I currently have a Lloyds one) or is it just BA issued cards? Yes if have had either of the BA amex cards within the last six months you cannot apply for another BA amex. You must have had it cancelled at least six months before. It is more prudent to wait 8-10 months before applying again, so it’s not looking too obvious. You can of course have your partner apply if they haven’t held one in that time. Lloyds amex doesn’t count. You can apply for a plat or SPG etc no problem. It’s within the categories this rule applies.